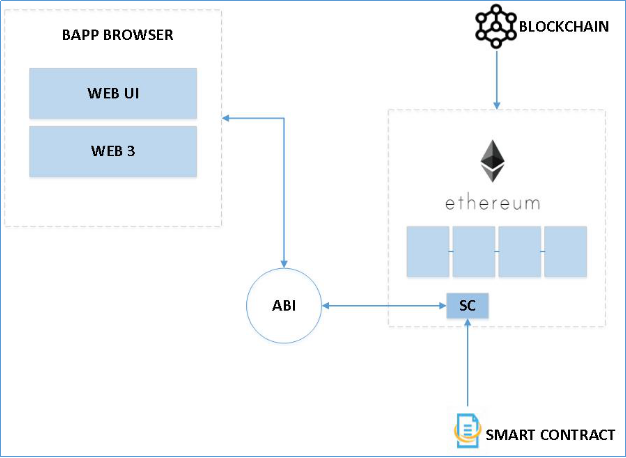 Q3 used smart contracts which authenticates data and records on the Ethereum platform, to improve the healthcare data management and user experience. The client is one of the biggest Indian conglomerate with businesses spread across India in many sectors, including healthcare. Big data has posed a huge challenge in the healthcare sector. The healthcare database keeps growing, which demands better ways to store and disseminate information. A platform for information sharing in real time is the need of the hour. The client needed a solution to ease the process of data sharing between healthcare providers, to increase the chances of accurate diagnosis, successful treatments and to make the healthcare systems more cost-effective. The ever increasing patient data demands proper utilization; in order to make the best use of discovered insights. The healthcare database keeps growing at a rapid rate which requires a way to ensure quick retrieval and authentication of data. Data loss and accuracy are other prime concerns in the scenario. Data Management and User Experience: To improve the healthcare data management and user experience, Q3 uses smart contracts, which authenticates data and records on the Ethereum platform. This arrangement ensures that the data remains private unless the client wishes to share it for diagnostic or research purposes. The immutability feature ensures that the shared data cannot be altered, but physicians can add diagnostic notes based on their finding. However, the client can verify if the additional notes are to be added to their health data and records. Authenticate and Secured Data Exchange: The smart contracts are autonomous and do not rely on any third parties. Since there is no third party involvement, no manipulation can be performed, thus ensuring trustworthy data exchange. The users’ data is backed up using the Ethereum blockchain. The client’s information is duplicated and stored in other participants’ computer. This ensures the security of the client’s medical information. The client has their private key and can access and authorize practitioners to use their information. Ethereum automates tasks with codes which saves crucial time which is critical in healthcare. Users do not need any intermediary when smart contracts are deployed in the network, thus eliminating the cost of third party processors. Data History: Using blockchain protects the users from wrong procedures and prescriptions. When documentation is blockchain based, smart contracts ensure error-free information. Smart contracts help to store sensitive data. With the use of a private key, the users can allow limited access to their doctor depending on the ailment or procedure being addressed.